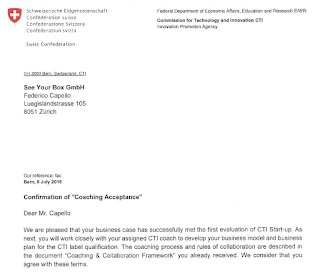 Early this year, seeyourbox has been selected to attend one of the most important Swiss selection for Start-Up: the CTI Start Up Program. Now, after the letter of confirmation of “Coaching Acceptance”, SYB is attending the III phase. In this phase, the help of a dedicated coach is functional to develop and optimize the business model and strategy; to refine all aspects of the project’s business case (business model, strategy, team, IPR, financials, market and product) for presentation to the Label Certification Board. CTI Start-up Program helps innovative start-ups to realize their business ideas quickly and professionally. 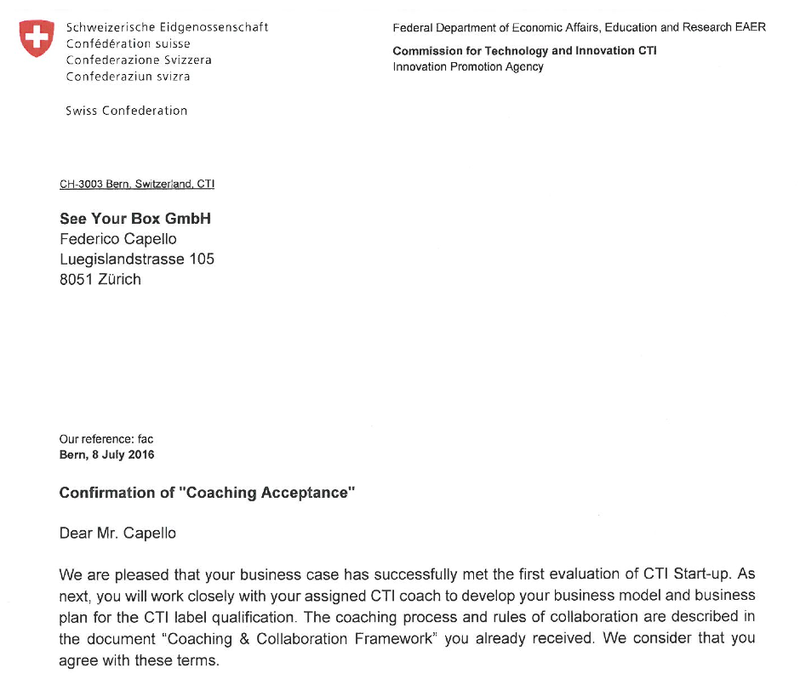 Through four different phases, a selected coach will help the venture’s project evolve sufficiently to apply for CTI Startup Label, that is an important certificate of quality, sustainability and credibility for Swiss Investors.